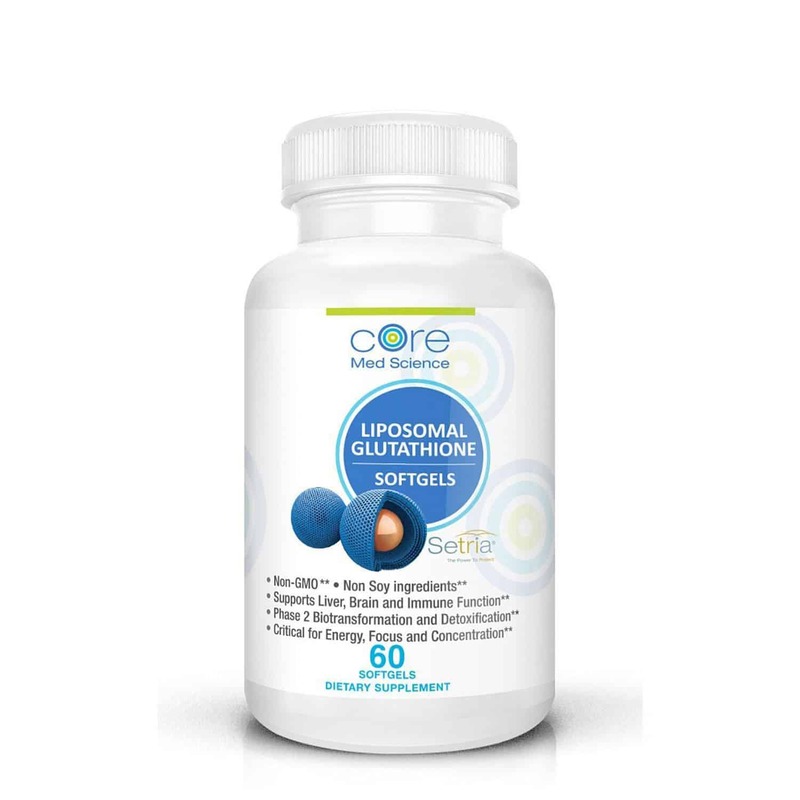 Liposomal Multivitamin with Active B-Complex, Minerals and Antioxidants has Liposomal Technology ensures high absorption of active ingredients. It Contains B-Vitamins in their ACTIVE usable forms such as L-5-MTHF (Active Folate), Methylcobalamin (Active B-12), Pyridoxal-5-Phosphate (Active B-6). B-Vitamins are key co-factors in energy production, neurotransmitter and hormonal balance, Methylation and Krebs Cycles. B-Vitamins are key co-factors in energy production, neurotransmitter and hormonal balance, Methylation and Krebs Cycles. Trace minerals: Zinc, Selenium, Manganese, Molybdenum, and Chromium play a crucial role in immunity, detoxification, blood sugar and hormone balance. Active Antioxidants: Vitamins A,D,E and K provide protection from aging and DNA damaging free radicals. Does not contain dairy, egg, fish, shellfish, tree nuts, peanuts, wheat. Take 3 softgels WITH FOOD, once a day. This product has no taste, is free of sweeteners and requires no refrigeration. 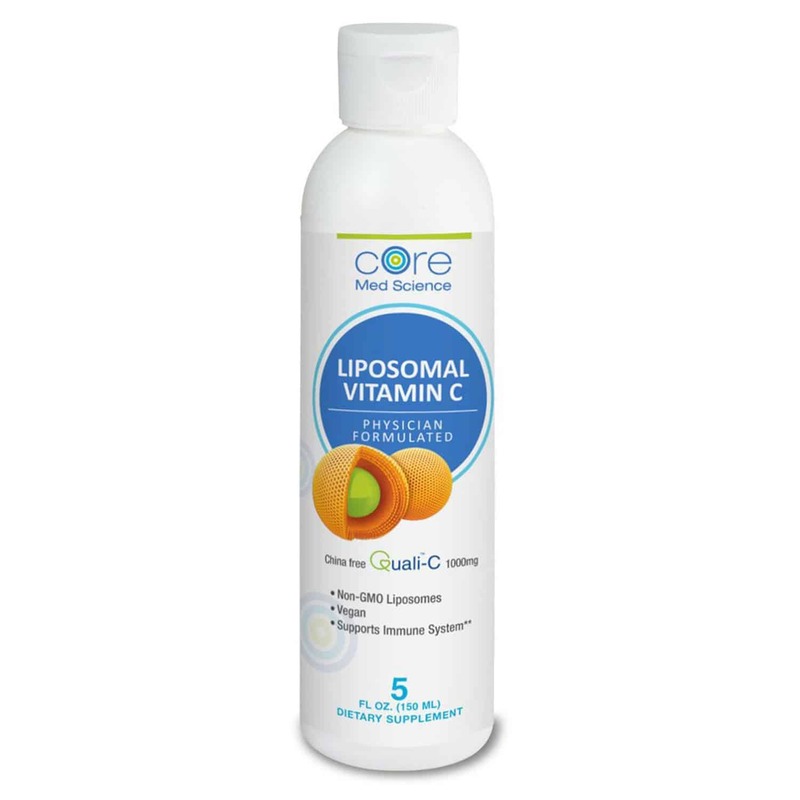 Liposomal Technology ensures very high absorption of otherwise poorly absorbed B Vitamin, Minerals and Antioxidant ingredients by surrounding the ingredients in phospholipids to form a microscopic sphere (liposome) which resists stomach acid, bile, and digestive enzymes. The liposome then fuses with intestinal cells to release its contents into the circulation. Vitamin A (as Palmitate) – involved in vision, antioxidant and immune function, gene expression and cell growth. Vitamin C (as ascorbic acid) – antioxidant essential in collagen production (skin, bones, blood vessels, tendons), cholesterol metabolism, White Blood Cell (WBC) production & function, antibody formation, synthesis of adrenaline and carnitine. Vitamin D3 (as cholecalciferol) – modulates the immune system and cell growth, lowers inflammation, autoimmune regulation. Vitamin E (as D-alpha tocopherol and mixed tocopherols)– major antioxidant, regulates the immune system, cell signaling, inhibits clotting. Vitamin B-1 (as Thiamin) – required cofactor in the production of energy from food & synthesis of ATP, DNA, RNA, NADPH. Vitamin B-3 (as Niacinamide and Niacin)– involved in cell differentiation, fatty acids & cholesterol synthesis, NAD+, NADPH production (key in mitochondrial energy production), DNA repair. Vitamin B-5: (as Pantothenic Acid) –involved in the utilization of fats and carbohydrates for energy, CoQ10 production, manufacturing of adrenal hormones and red blood cells. Vitamin B-6 (Pyridoxine as P-5-P) – necessary in the synthesis of neurotransmitters, methylation cycle, glucose formation, glycogen breakdown, DNA base pair synthesis. Vitamin B-7 (Biotin) – involved in the fatty acid synthesis, fatty acid oxidation for energy, DNA replication, glucose synthesis, maintains stable blood sugar levels. Vitamin B-9 (as L-5-MTHF active Folate) – necessary in DNA synthesis, neurotransmitter & hormone synthesis, and breakdown, Red Blood Cell (RBC) formation. Vitamin B-12 (as methylcobalamin active B12) – key role in energy production from fat and protein, methylation, synthesis of hemoglobin, Red Blood Cells (RBC), nerve cell conduction (myelin), DNA and RNA production, neurotransmitter and hormonal balance. Vitamin C (ascorbic acid) – key antioxidant, recycles other antioxidants, involved cholesterol metabolism, synthesis of collagen (bones, joints, soft tissue, skin), adrenalin and carnitine (fat metabolism). Iodine – mineral, 60% concentrated in the thyroid gland; essential for thyroid hormone production, which controls basal metabolic rate, cellular energy, and proper immune function. Zinc – mineral, plays a vital role in immunity, protein metabolism, hemoglobin synthesis, reproduction (testosterone-estrogen conversion), digestion (gut permeability), antioxidant function. Chromium – trace mineral, important in blood sugar regulation, helps insulin transport glucose into cells; also plays an important role in the metabolism of fats and protein. Essential Phospholipid Complex – phospholipids like Phosphatidylcholine (PC) are the main building blocks of membranes and mitochondria. They also serve as an important source of Choline for Acetylcholine, a key neurotransmitter or the Central Nervous System responsible for attention and memory. PC also helps restore liver function, may lower LDL (bad cholesterol) and increase HDL (good cholesterol). The lipids in this complex are a unique ratio of Phosphatidylcholine, Phospatidylethanolamine, Phosphatylinositol, and Oleic Acid. As mentioned above, liposomes are microscopic spheres containing the vitamin(s) in the interior. Because the outer, surrounding layer is made of the same building blocks as human cells, liposomes can be compared to miniature “vitamin carrying cells”. The liposome structure and human cells are both made of phospholipids. The most abundant phospholipid in cell membranes is Phosphatidylcholine and it constitutes the main phospholipid in our liposomes as well. Once you ingest vitamin-carrying liposome, it will journey through the digestive tract relatively unharmed by stomach acid, bile and digestive enzymes. When it reaches the small intestine, where absorption of all nutrients in food occurs, the liposome will then attach to the small intestinal cell membranes. The liposome outer shell and the cell membrane will now “fuse” (they are made of the same phospholipids) releasing vitamin content to the interior of the cell and eventually into your circulation. It is important to point to point out that we produce our liposomes in a natural process using no added pressure, temperature or solvents so as to ensure that the resulting phospholipid liposomes remain undistorted and non-hydrogenated. The lipid outer-layer of the liposomes is made of Phospholipid Complex (PC): a ratio mixture of Phosphatidyl-Choline, Phosphatidyl-Ethanolamine and Phosphatidyl-Inositol. These same three phospholipids are found in our own cell membranes, but they get oxidized (rusted) as a normal effect of aging. Oxidized cell membranes don’t work very well, but fortunately, the PC in our liposomes serves as fresh un-oxidized material to rebuild aged cell membranes. Even importantly, mitochondria, the energy-producing organelles inside our cells, have their own inner and outer membranes and that is where the final steps of energy production occur. PC then helps repair mitochondrial membranes and restore mitochondrial function as well as energy production. Phsophatidyl-Choline is also a very rich source of Choline from which Acetylcholine (Ach) is made. Acetylcholine (Ach) is a main neurotransmitter without which we can’t survive. In the Autonomic Nervous System, it drives the communication which keeps the heart, lungs, intestines, adrenals and all internal organs working at appropriate speeds. In the brain, Ach is needed for memory, attention, and focus and is the main target for many Alzheimer’s medications. Because PC contributes to alertness, we advise you do not consume this product after 3 pm. Lastly, phospholipids in the cell membranes are converted to Arachidonic Acid and prostoglandings, the main communication molecules in cell-to-cell communication and the immune and inflammatory systems. Children and pregnant or lactating women should consult their healthcare practitioner prior to use. Intended for use by adults. Consult with a healthcare professional to determine appropriate dose and suitability for children. Storage: Store in a dry, cool place away from sunlight. Refrigeration is not necessary.